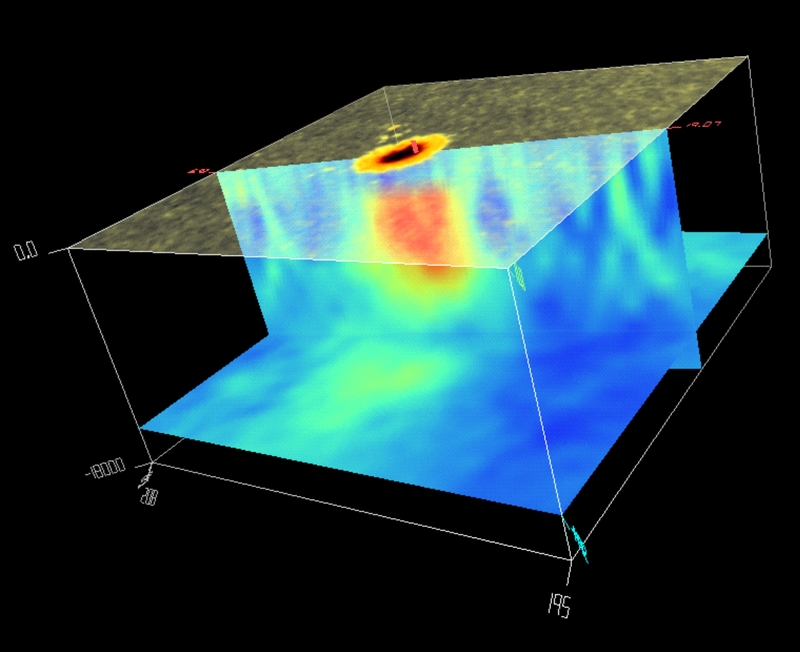 The subsurface structure (sound speed) below a sunspot as derived from Doppler measurements by MDI. Using the technique of time-distance helioseismology, three planes are shown. The surface intensity shows the sunspot with the dark central umbra surrounded by the somewhat brighter, filamentary penumbra. The second plane cuts from the surface to 24000 km deep showing areas of faster sound speed as reddish colors and slower sound speed as bluish colors. The third plane (bottom) is a horizontal cut at a depth of 22000 km showing the horizontal variation of sound speed.